Minister of State for Human Resource Development ShashiTharoor inaugurated social networking site 'Flatparty', which aims to provide an online platform for people to connect with friends and family. 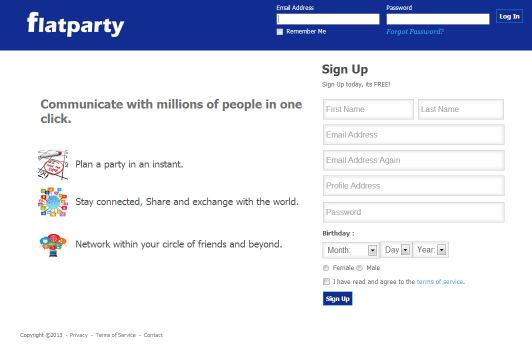 The site is managed and run by New York-based Flatparty and it claims to provide a unique experience in the social networking space with the latest technologies. "Social media is an asset as well as an advantage for all, including politicians. Flatparty is a good concept and will help people and enterprises connect easily," Tharoor said after the inauguration. The Minister said the social media should be free for all, and one should be allowed to express his/her views, but it is pertinent to understand that these platforms are sometimes misused, which needs to be checked. 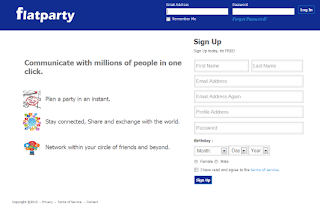 "With our new social networking platform, we leverage the latest technology to connect and bring people closer and associate like-minded people in their area of interest," Flatparty CEO Anto Tom said. The site has features like groups, events, polls and blogs, which let members connect with other members who have common choices, he added. The event feature enables members to publicise an event, invite guests and track attendance of participants, Tharoor said. That apart, the site can be used to manage events, organise political party meetings and conferences, conventions, etc in a categorised model. The features also allow managing different pivotal groups, their associations, etc, he added.